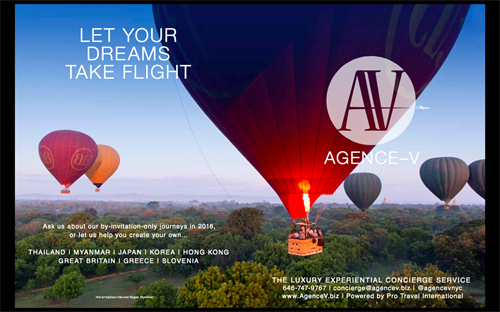 Agence-V is a travel concierge service that creates bespoke luxury experiences for our members. We have over thirty years experience combined in creating high-value, specialist travel arrangements for discerning clients. 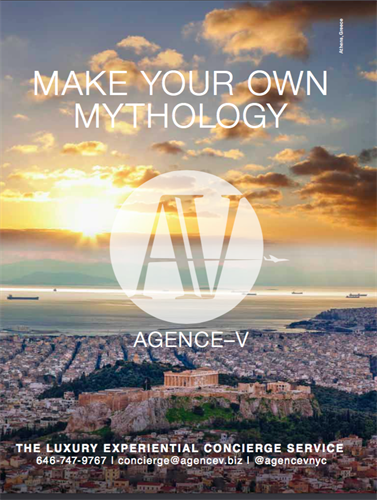 We know that in the world of cookie-cutter travel, travelers are looking for unique itineraries and journeys. This is why we’ve teamed up with OutThere/Travel, the world’s leading curators of experiential journeys for men of distinction. Together, we’ll give you an expert view of a destination, from the perspective of the discerning traveler, rather than just that of a travel agent. Wherever you choose to explore, from vibrant cities to hideaway paradises, we want you to get under the skin of the place, and get to know what makes it so special – in the same way that OutThere/Travel’s editors would. We want you to really experience a destination, rather than just visit – and together we’ll build one-of-a-kind, inspiring itineraries with your personal preferences clearly in mind. We’ll even throw in some special surprises, just to ensure that your next vacation with us is truly memorable.